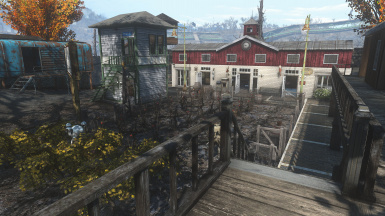 Oberland Station Minutemen settlement created from my Nora campaign. 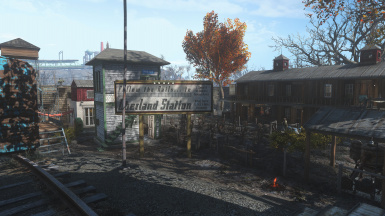 Features a small tato/mutfruit farm and new structures with layout/design inspired by in-game way stations and real life train stations. 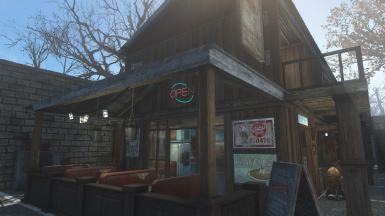 Acts as a rest stop for traders moving between Boston and the north side of the Commonwealth. 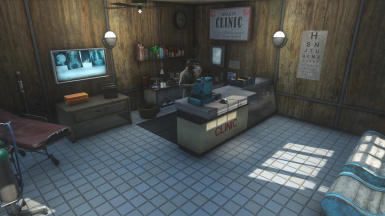 Clean and Simple - Oberland Station Startup Required to repair the way station as well as flatten the buildable area. NavMeshFixer ( Do It Yourself NavMesh ) Quasi-required/optional to fix the navmesh between box car and platform. 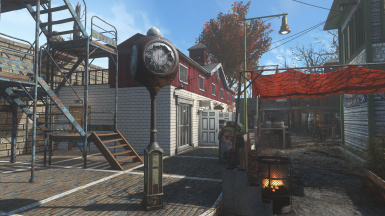 This is my Oberland Station settlement blueprint using the Transfer Settlements﻿ utility. It goes directly into Slot #11. 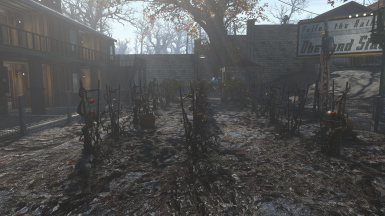 I used Clean and Simple from jenncave to rebuild the way station and flatten out most of the buildable area. 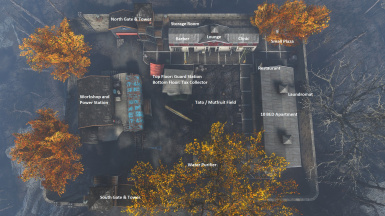 Extended Settlements also stretches the border further but I chose to keep the settlement "small". 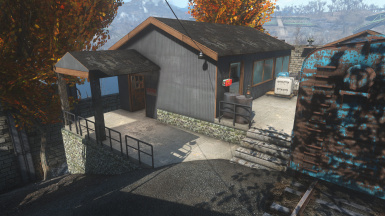 Workbench was moved into the warehouse where the power station is located.